Okay, are you ready? This is probably going to be the world’s shortest blog post, but I finally decided to write it because I get this question a lot! 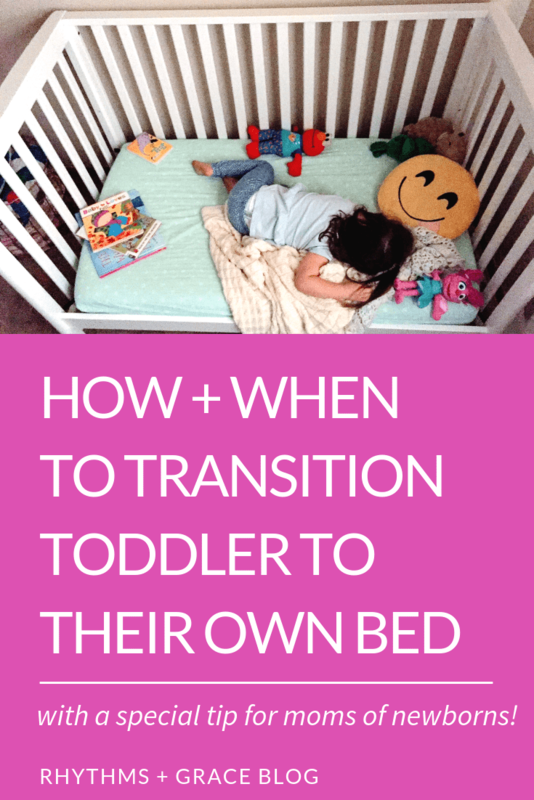 How do you transition toddler out of their crib? 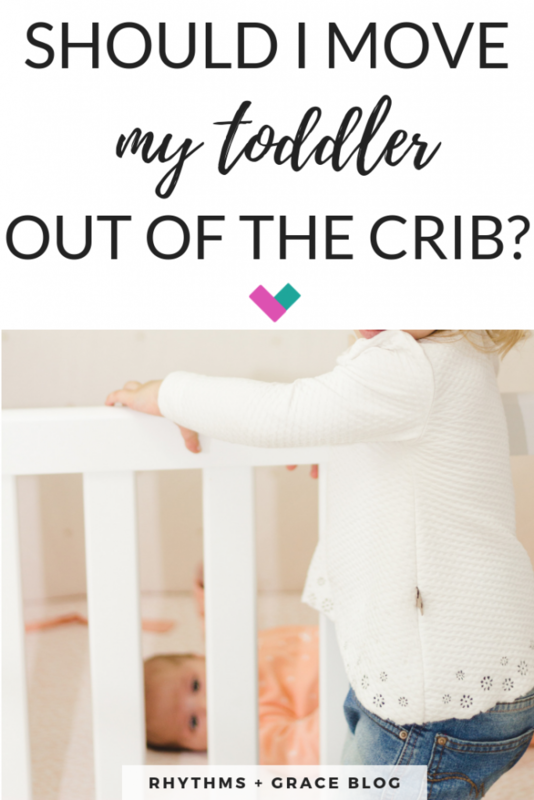 First of all, let me just throw this crazy theory/ special tip out there in case you are one of those over-achiever types reading this post before you are dealing with with a toddler crib transition. Because I’m like that too… we can be friends. ha! Your special tip is: use our sleep training method with your baby! I have a working theory that our sleep training method will help you avoid this toddler transitioning out of crib problem all together. It’s just a “theory” because it’s untested by anyone but our own children and a few friends who I know have used this same sleep training method. 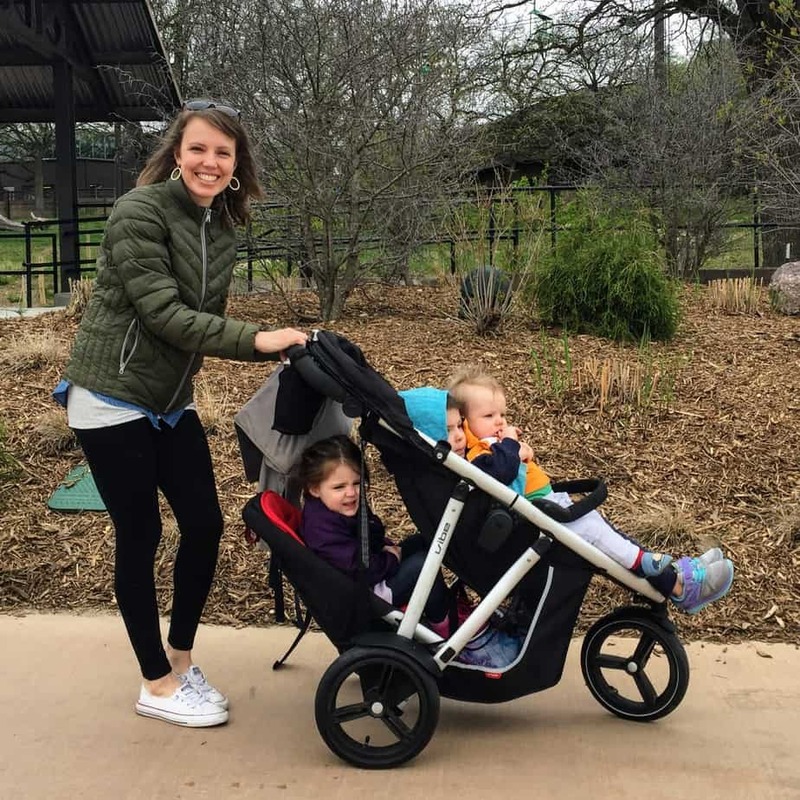 My theory is – if you sleep train with our method (which you can read about here) AND wait long enough to move your toddler to a big kid bed, there will be no drama when you make the switch. 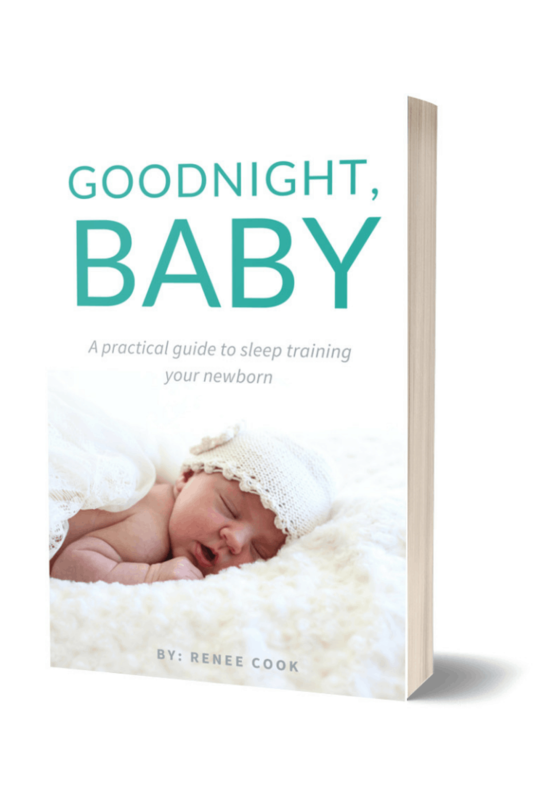 Because you will have already trained them subconsciously that you, the parent, are in charge of sleep. 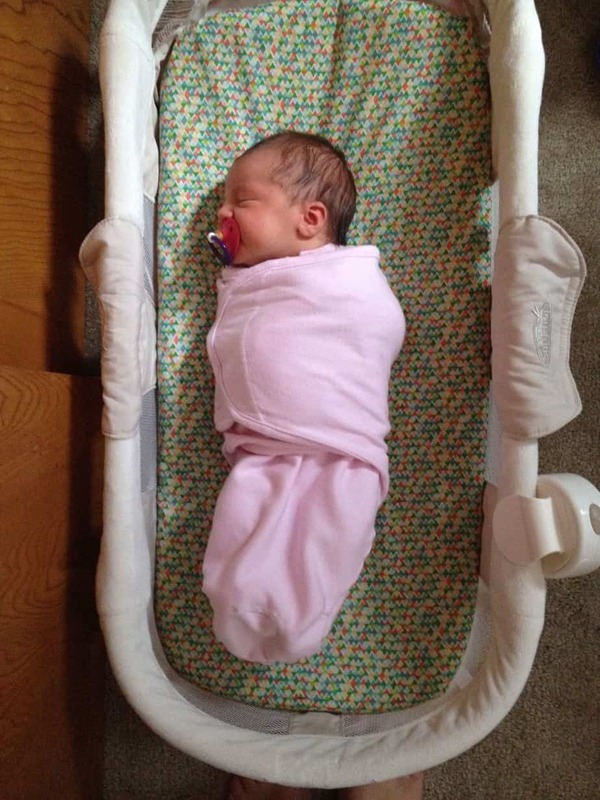 Our first 2 kids transitioned out of cribs at ages 3 and 2 respectively, and it was super smooth. But, they are both pretty compliant children. Our 3rd is our strongest willed child. They 2 year old who persisted in screaming NO for 9 months even though there was almost always a consequence or time out. Haha! He was also slower on the language-up take and I thought between his strong opinions and lack of verbal expression, for sure he would be the dramatic crib-to-bed transition child. Our strong-willed child did not come out of his bed at night one time. I kid you not – I was in shock for weeks. I kept waiting for him to realize he could get out and appear downstairs. But it’s just been a non-issue. Which is why I developed my very unscientific theory that our sleep training method for newborns somehow communicates to the little ones that mom and dad are in charge of sleep. Then, when you transition them to a bed at the right age, they just don’t really push back. Because for the past 2-3 years you’ve been putting them to bed without much drama anyway. FYI – affiliate links used in this post! I only recommend stuff we love. Read my full disclosure here. When you do make the transition to a big kid bed, here’s the process I recommend. Let them help you assemble the new bed and set it up. Set it up early in the day so they can play on it and have plenty of time to have fun. Keep everything else the same – whatever they slept with before stays. Special blankie, stuffed animal, pillow, whatever. Our kids also all use a white noise machine so we obviously kept that in the room. DON’T SAY ANYTHING ABOUT GETTING OUT OF BED. Just put them to bed the exact same way you always have, kiss them goodnight and leave the room. If I say “don’t think about pink elephants,” what do you immediately think of? The same thing is true for a toddler and the rule, “don’t get out of bed.” It makes them want to get out of bed! Or, if you say, “Stay in your bed,” they want to get right out! Haha you know they love testing the boundaries, so try not bringing it up and just see what happens. If bedtime is an epic battle and has always been, that tip probably won’t help you. But if your kid has been trained to go to sleep on their own, and happily & consistently slept in a crib, just don’t say anything about not getting out. See what happens! Learn more about my free 4-day parenting course! If you do end up with some issues, snag an OKAY-TO WAKE CLOCK. Remember my previously mentioned strong-willed child that did not get out of bed? Well, he did develop the habit of cheerfully shouting, “MOMMY MORNING TIME!! !” Or, he would sing Tomorrow from Annie at the top of his lungs. He’d always been an early riser, and as 1-2 year old, i just let him be up with me if he got loud. But by the time we transitioned him to a big kid bed, I knew he could understand the green clock concept. So we did that! We followed the general advice on using these clocks, which is to set the clock to turn green at their normal wake time (his was 6:00), and then gradually turn it back by 10-15 minutes every few days. It totally worked! He stays in bed quietly until 7:00 (our family’s desired child wake time), and then comes out excitedly proclaiming, “My clock turned green!” He LOVES it. Your other baby doesn’t need the crib. Just put new baby in a portable bassinet, or a pack n play. Or if you do the whole adorable nursery thing, use something cute and stylish like this! But if your toddler isn’t ready, don’t give them the boot for the new baby. It’s not worth the drama. You’ll already be up at night with a newborn… don’t add a toddler big kid bed transition to the mix if they’re not ready! All our new babies have slept in this tiny, foldable bassinet for the first 3-4 months. Then, they’ve moved to a pack n play for several months. Our first 2 girls are 17 months apart. So I basically had a giant baby and a newborn baby when the second was born. Ha! And, our second kiddo slept in a pack-n-play till she was almost 1-and-a-half years old because my first was happy in her crib for so long. We finally moved my oldest out of her crib when she was just over 3. At the time, I was pregnant with our 3rd and I couldn’t lift my 3 year old in and out anymore. That was how we accidentally realized it was better to let the toddler keep the crib and put baby in the pack n play. Because, as it turns out, the baby doesn’t know the difference! We used this pack n play mattress once we realized the pack n play would be her bed for a while. None of our 3 potty trained have nighttime trained at the same time as they daytime trained. They all still wore diapers at night even after they were day-time potty trained. Our second daughter was the youngest when she started staying dry at night. She would wake at 5 am crying because she had to go potty. She was not quite 2.5, so we took the side of the crib off and turned it into a toddler bed for her and taught her how to get to the bathroom. Eventually, they’ll stay dry through the night. If they’re not in a big kid bed by that point, you can move them to one AFTER THEY STAY DRY. You don’t need to have them in a big kid bed in order to potty train. I experienced this feeling when my oldest was 2. When our oldest turned 2, our second was already 6 months old. The oldest learned to use the potty and identify her ABCs when she was 2 and it just felt to me like she wouldn’t be a true big girl until she was in a big girl bed. It might sound silly, but I wanted to do a “big girl room” and have it be a big special thing. But, she loved her crib and woke up happy in there, and we just didn’t want to deal with a crib transition. So we kept putting it off. And you know what? It didn’t really matter! Haha! We called her a big girl anyway. She learned to go potty and get dressed. 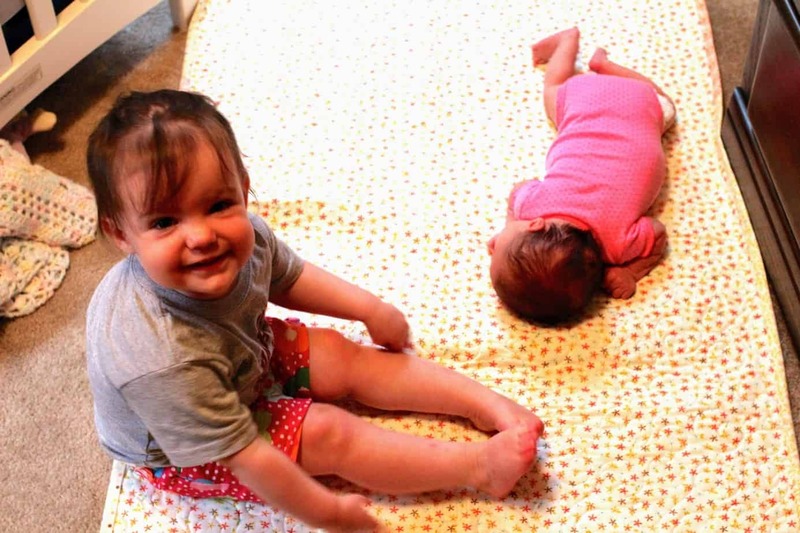 She loved to “read” to baby and help mom and it just didn’t matter that she still slept in a crib. Since then, we’ve put off the toddler transition to a big bed as long as possible for each subsequent toddler in our house. Obviously, if your child is in imminent danger in their crib, they should move to a mattress on the floor or something! BUT, just because they can climb out, doesn’t mean they will. And, if you deal with climbing out as a discipline issue the first couple times, it’s possible that they will learn to stay in their crib even though they can get out. The thing is – once you transition the toddler out of the crib into a big kid bed, they still have to learn to choose to stay in bed. So moving them into the new bed sooner may or may not be the solution. 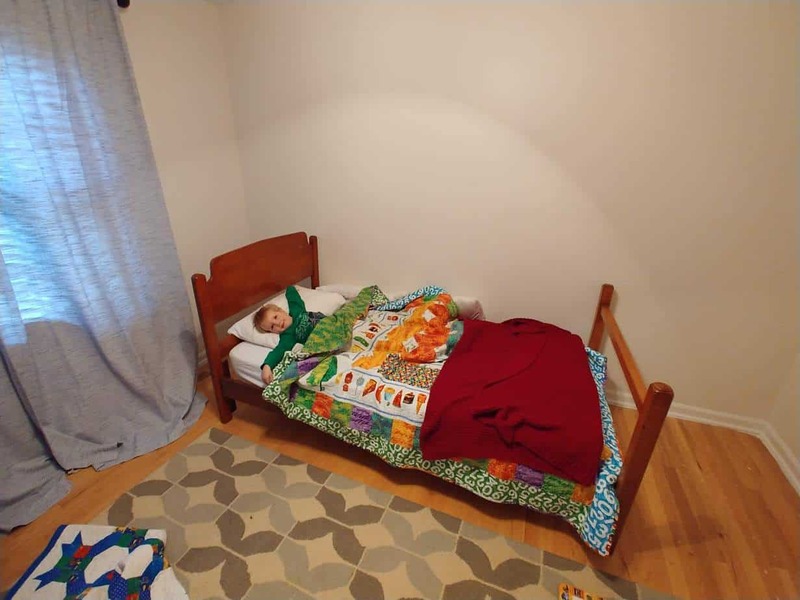 Transitioning to a big kid bed might just further the battle/ problem. It’s probably worth a try to just discipline in whatever the style of your family is and insist they obey you and stay in bed. A friend of mine who had this happen let her toddler practice and play climbing in and out during the day so that the kid learned to safely get in and out. Then she treated the leaving bed as a discipline issue. That way, she got to keep her in the crib AND knew the kiddo was safe. AND… when she moves the kid to a big-kid bed, the leaving-bed-without-permission behavior will already have been dealt with. So many things related to toddlers are in the “to each their own” camp. If you really want to move your 18 month old out of their bed, do it! If you’re trying to figure out a way to avoid it, I think you can delay the transition out of the crib longer too! This too shall pass. Before you know it, they’ll be on the top bunk reading themselves to sleep AND you’ll be voluntarily keeping them up past bedtime to hang out once in a while. Then they’ll drive and go to college. So, ya know. Make a parent-led decision, and lead the process with clear boundaries and positive habit training so that you are in charge. And know that each transition is just a season and this too [the transition to a big-kid bed] shall pass. If you have any questions, connect with me via email or ask them in comments below!